The Upper Room Fellowship was a prayer group that met for several years, first at St. Mary in Old Town Alexandria, and then at St. Charles Borromeo in Arlington. They met for prayer, praise and worship, teaching, and fellowship. We welcomed people from across our diocese and the country to Herndon from November 13-15, 2015, for a conference with the theme "In the Spirit, through the Cross, one Body" which is based on Ephesians 2:16-18. 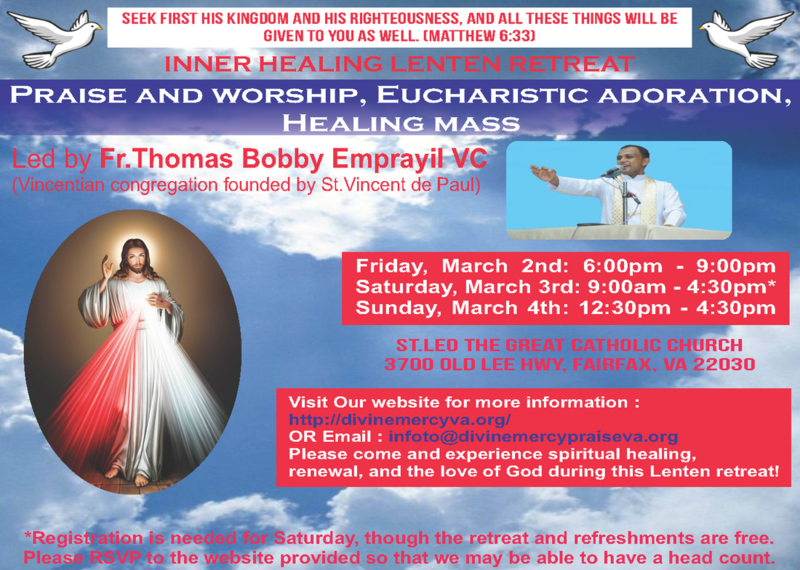 The conference included praise and worship, Masses on Saturday and Sunday, Workshops and General Sessions with talks from dynamic speakers, Prayer Ministry, a Healing Service, meals, fellowship, and an evening of praise before the Blessed Sacrament. 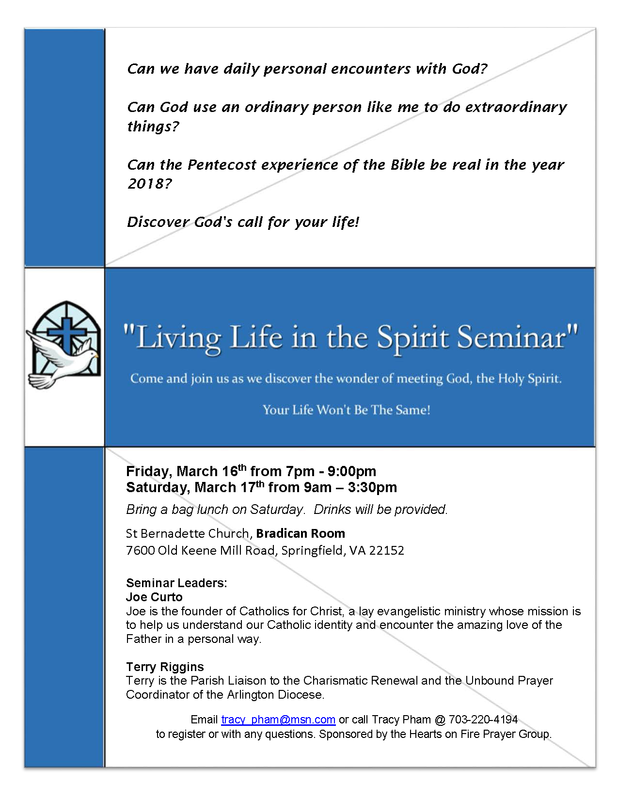 This conference is sponsored in a different city each year by the National Service Committee of the Catholic Charismatic Renewal. 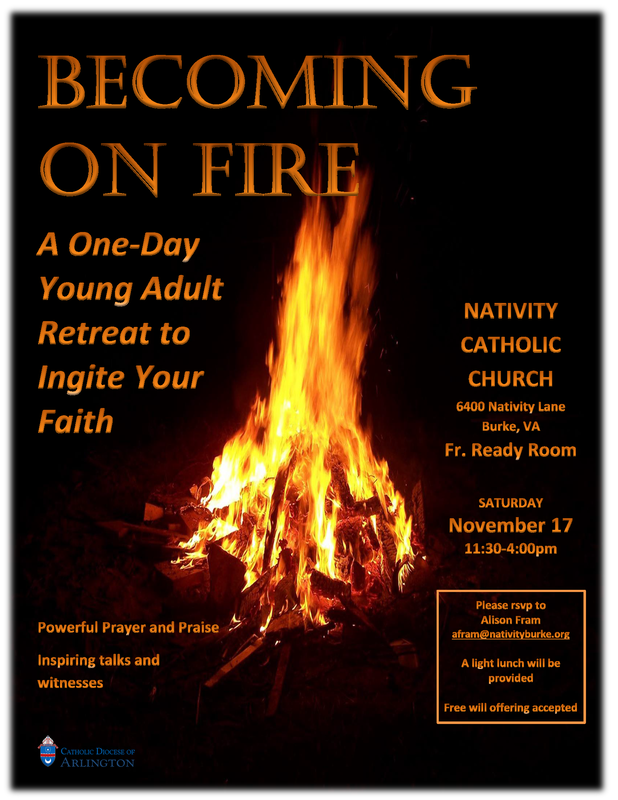 This event included talks, witnesses, Praise and Worship, discussion and prayer to help young adults encounter the Father’s Heart in a deeply personal and transformational way. 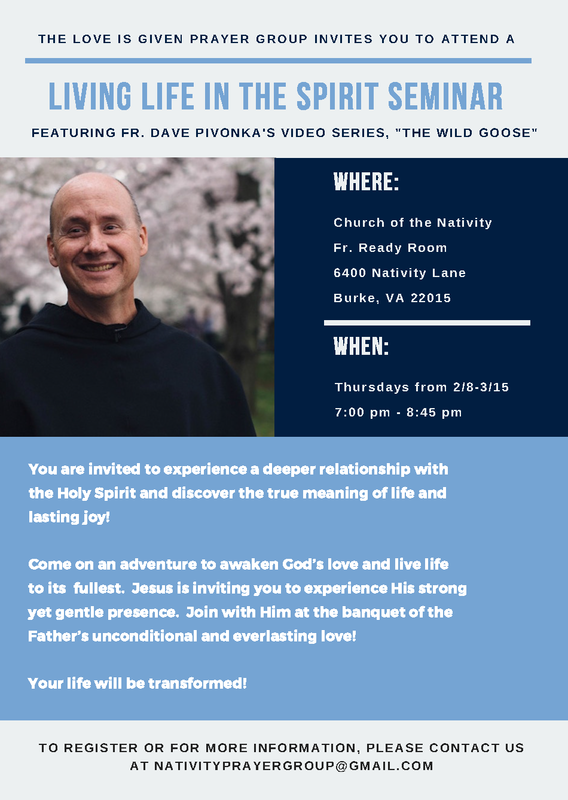 September 5‐7, 2014, Friday 7:15 p.m. ‐ Sunday at 3:00 p.m.
Want to leave the busyness of your daily life in DC for a chance to get away, develop your relationship with Christ and build community with other young adults? 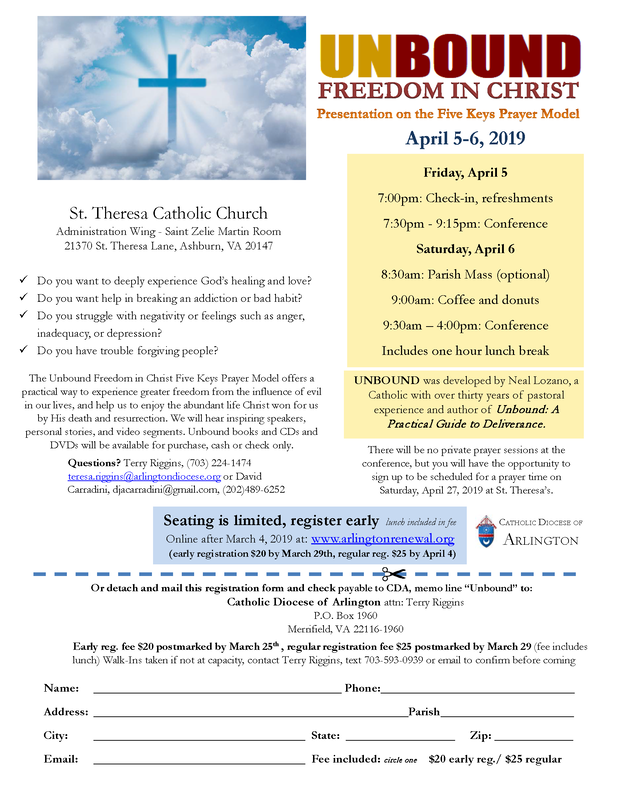 Looking for a time of Spirit-filled and uplifting praise, powerful teachings, and explore ways to use your gifts and interests to make a difference for Christ? Prayer teams available to pray for the release of the spiritual gifts. In July 2012, the UNBOUND: Freedom Conference offered excellent times of teaching and prayer. People learned about being free in Christ, how to recognize and overcome obstacles in our relationship with God, and also had the opportunity to pray for deliverance from things that interfere with growing in the spiritual life. This was Arlington Renewal's Young Adult Hiking Trip at Harper's Ferry, WV, that on Saturday, August 13, 2011. We started with attending the 7:30AM Mass at St. Agnes Catholic Church in Arlington, VA. We prayed together for protection and safety outside of Starbucks in Arlington then departed for Harpers Ferry. It rained for about 5 minutes, then turned out to be a beautiful day. The cool breeze helped cool us off as we hiked The Maryland Heights Trail. At the mountain's peak, we prayed the Rosary together. It was a great time of prayer, fellowship and exercise. We give praise, glory and honor to God for all His creation which reveals His great love for us. Many people attended the Charism School July 8 to 10 and learned about the charismatic gifts of the Holy Spirit. They also learned not just about the gifts, but how to use them. They practiced praying for each other to help become confident when praying with others. Many people were healed at the Healing Service on July 9. After teaching about the connection between healing, forgiveness, and repentance, Damian asked everyone to turn to those near them who were sick and pray with faith while laying hands on them. Between prayers for each type of illness we sang songs of praise and worship, and concluded with Eucharistic Adoration and Benediction of the Blessed Sacrament. It was held at St. Aloysius Gonzaga Parish in DC which had a very high ceiling that amplified the sound of hundreds of people praising God! The Renewal reminds everyone that all can serve God and their neighbor. After attending a Leadership Course with the office from the Vatican that guides the Renewal globally, leaders from the Catholic Charismatic Renewal in the diocese decided to share what they learned. At each gathering anyone who had interest came and learned learned about an aspect of the Renewal. The sessions also had time for praise and worship and fellowship. The topics were: the Renewal's history in November 2010, evangelization in January 2011, and prayer groups in April 2011. June 14, 2011 at St. Charles Borromeo was a wonderful time for young adults to celebrate Pentecost with Charismatic Praise & Worship. Fr. Tuck Grinnell, Pastor of St. Charles Borromeo, spoke on Pentecost: Its Significance and Its Impact in Our Times. Brian Kissinger lead music. Afterwards, we walked to a restaurant in Clarendon for food and fellowship. 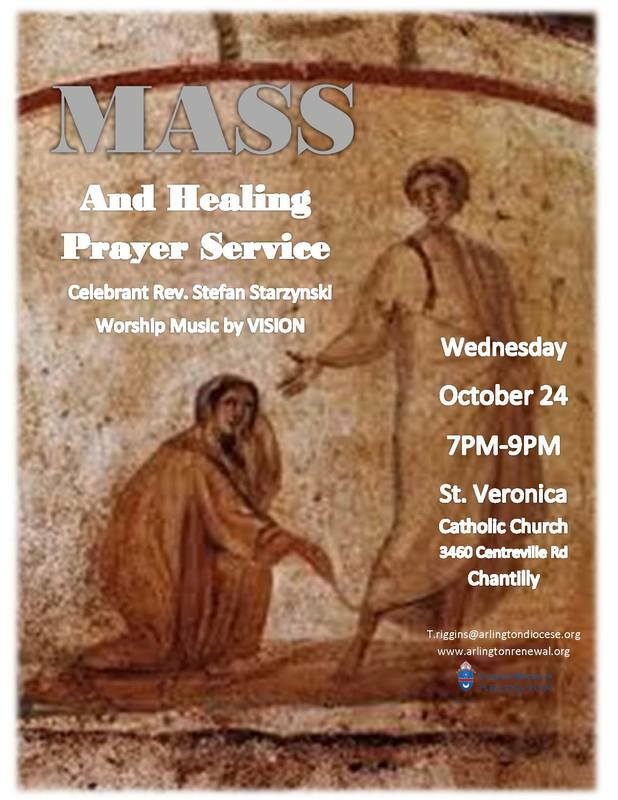 Praise, Worship, Eucharistic Adoration, and Mass for Healing. Obtain a flyer here and invite others. 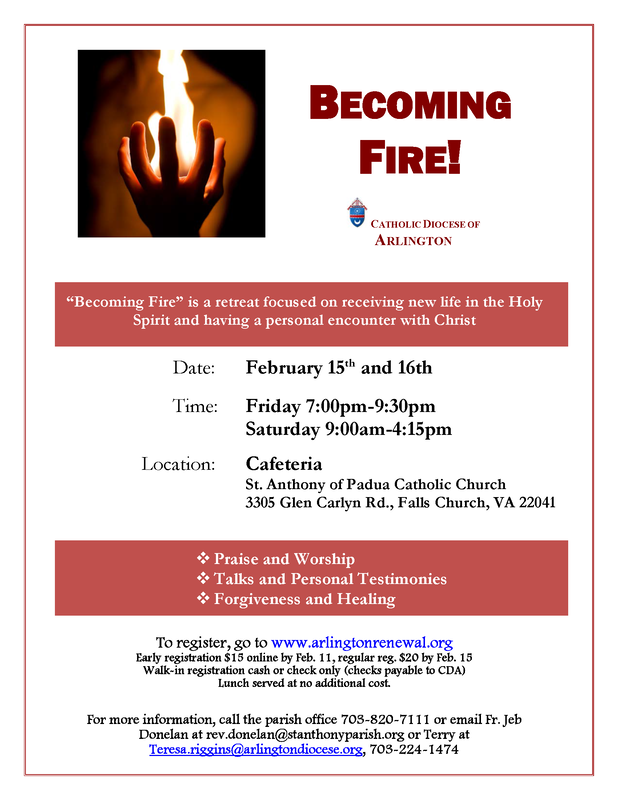 February 2011: Young Adult Day Retreat - "Keys to Unleash Power in Prayer"
Fr. Dave Pivonka, Franciscan T.O.R. lead about 300 young adults on a spiritual journey. We learned to open up to the Holy Spirit, get to know Him in prayer, and experience Him in everyday life. We learned about how prayer and trusting God are essential to our relationship with Him, but in order to move deeper in the spiritual life and unleash power in prayer we must confront sin honestly and come to God - since only He can set us free. We need to approach God's mercy not just as a cleansing routine, but to experience Jesus who died for us and rose from the dead because He is waiting for us to let Him transform us from the inside out. Local musicians lead us in beautiful and heartfelt songs of praise and worship, and we enjoyed fellowship with old and new friends. 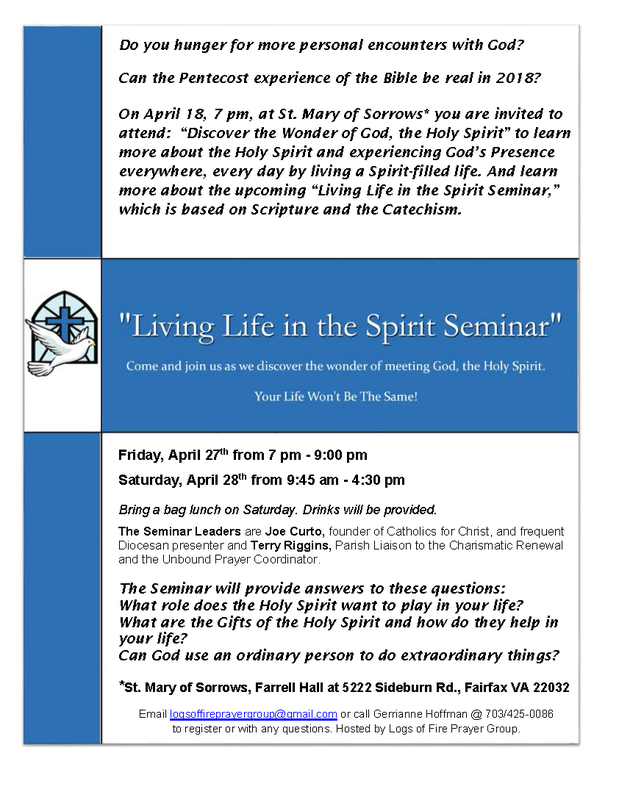 You may view the online photo album, and listen to the talks on Baptism in the Holy Spirit, and the talk about Suffering. After attending a Leadership Course with the office from the Vatican that guides the Renewal globally, leaders from the Catholic Charismatic Renewal in the diocese decided to share what they learned. At each gathering anyone who had interest came and learned learned about an aspect of the Renewal. The sessions also had time for praise and worship and fellowship. The topics were: the Renewal's history in November 2010, evangelization in January 2011, and prayer groups in April 2011. September 2010: Diocesan Charismatic Retreat - "In Search of Treasure"
Our spiritual director was the Executive Director of the new San Damiano Spirituality Center of the Arlington Diocese. His Songs lead us in praise and worship. We had daily Mass, prayer meetings, challenging talks, small group sharing, quiet time, and great food at the beautiful Dominican Retreat center in McLean. Damian Stayne of Cor et Lumen Christi Community in England uses the gifts of healing and encouragement to evangelize. He is endorsed by the Vatican's center for pastoral oversight of the Charismatic Renewal (ICCRS). 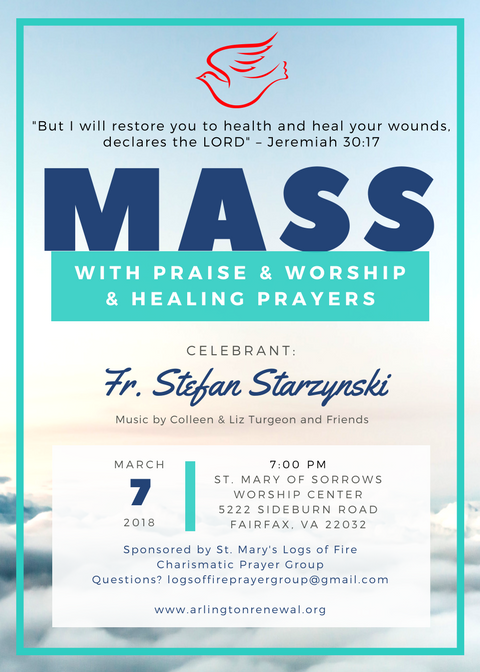 Large numbers of people have been healed during Damian Staynes' evangelistic visits to Gaithersburg, Maryland, in 2008 and 2009, and this year the Lord again healed many. At this and previous visits of his, people were healed of numerous afflictions, as well as grew in faith and confidence pray with the sick and use prophetic gifts, People far from God were invited to return to Him, and Damian also lead us through a meditation to forgive others and encouraged us go to Confession as soon as possible. Damian used his gift of teaching to clearly show from the texts of the Bible, Catechism, and the saints, that the charismatic renewal is s true, historic, biblical, orthodox gift from God which helps individuals and the whole Catholic Church reach people in our day. The evening began with praise and worship, which we returned to often throughout the healing service. People went to the front to tell of how God had healed them during prayer. Some were dramatic such as the restoration of hearing and the ability to walk, and all pointed to the truth that Jesus is alive, He loves us, He sends the Holy Spirit today with gifts which we need to open with faith. God is with us and eager to hear and answer our prayers when we reach out to Him. This diocesan-wide gathering celebrated the outpouring of the Holy Spirit at Pentecost. We sought guidance on how to appreciate and use that outpouring in our lives, our Church, and the world. Below is a word and vision describing the purpose of this gathering. We began with daily Mass at 9am in the church, and then enjoyed coffee and bagles with old and new friends. The Holy Spirit filled us with joy during Praise and Worship, which was beautifully lead by "The Chosen Few." In his talk on being free from fear, Ralph Martin, President of Renewal Ministries, spoke about how God has lead him and his family through uncertain times, relying on God's Providence. The festival concluded with more Praise and Worship while prayer teams prayed with people for their intentions. Many experienced the love of God and His freedom throughout the day, enabling us to live lives that bear witness to His activity in us. As newlyweds, Mark and Léa - feeling alone in the Catholic Church - considered joining a non-Catholic congregation. However, the Lord spoke clearly in Mark's heart, "Stay, and be light to your brothers." Shortly after that, Mark received another strong word, "Music is a doorway to evangelize." Thus began a burning hunger in Mark for God, and for truth, which has led to a deep love for the Catholic Faith. About 500 people gathered to praise God and hear a message for our lives. 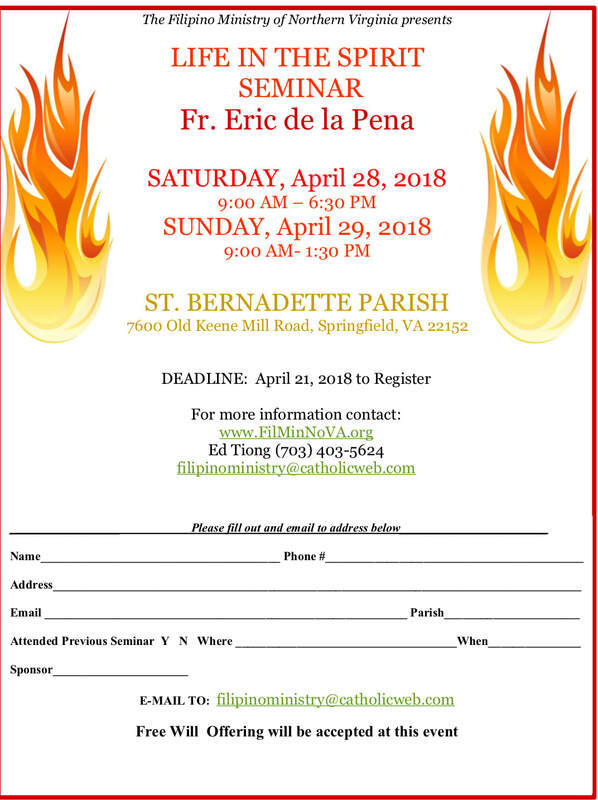 It was held at St. Anthony Catholic Church in Falls Church.